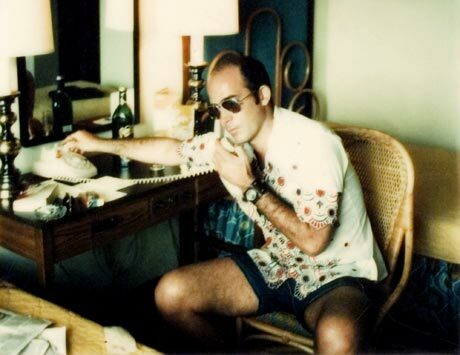 Many more people think they know Hunter Thompson  who he was and what he was about  than have read even a single word of his work. And in this new documentary, which chronicles his earliest Hells Angels days through his absurd (and almost successful) attempt to be elected Sheriff in Colorado, to changing the face of political writing, what we see in the end is Thompson brought low by himself and his image. The drug-crazed, chain-smoking, gun nut nihilism seen in Terry Gilliams Fear and Loathing In Las Vegas, as portrayed by Johnny Depp, became how the world saw Hunter, and how he saw himself. His attempt to live up to that image destroyed his abilities as a writer and meant he didnt contribute more than a handful of significant works in the last 30 years of his life. He also arguably destroyed a generation of would-be writers (as Bukowski did before him) by turning his personal signature prose into a "genre  in Thompsons case, "gonzo  as if it could be imitated. (It cant. Stop trying.) As he sunk further into a caricature of himself, Thompson finally took his own life in a long-planned event, at home with a gun, just like he wanted. But what Gonzo, the film by Oscar winning documentarian Alex Gibney, does is put Thompsons work back in the picture, focusing more attention on his year-long investigation (and subsequent conflict) with the Hells Angels, his political agitation and his seminal work surrounding the 1972 U.S. Presidential election that eventually made him famous.